WASHINGTON — One of the best free museums in the D.C. area is outside at National Harbor, and now you can take a self-guided walking tour using your cellphone. 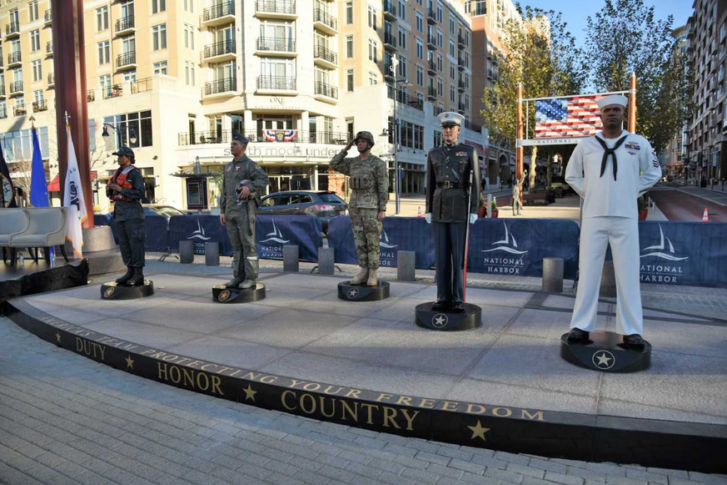 The tour starts at the waterfront with the world-renowned 1980 J. Seward Johnson sculpture “The Awakening,” which was relocated from Hains Point to National Harbor in 2008. There are also mosaics by artist Cheryl Foster and two 4,500-pound stainless steel eagles with 14-foot wingspans on 60-foot poles at the Belvedere Plaza by Albert Paley. They sit above a terrazzo mural by Steven Weitzman. There is also a statue of Henry Ford, along with an actual Model T car and many statues, sculptures and other artworks. National Harbor developer Milton Peterson, who has curated the collection, has had them strategically installed on the property. “Our outdoor art gallery is open to the public at no charge, and now we also have a great by-cell tour that explains the art, the history of many of the persons depicted in the art, and the artists who created the art,” said Deborah Topcik, director of marketing at National Harbor.